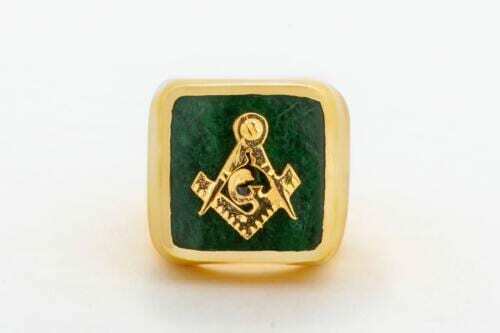 Genuine top quality stone 16 x 14 mm (5/8 x 9/16 inch) 18 k gold plated to 5 microns over sterling silver. 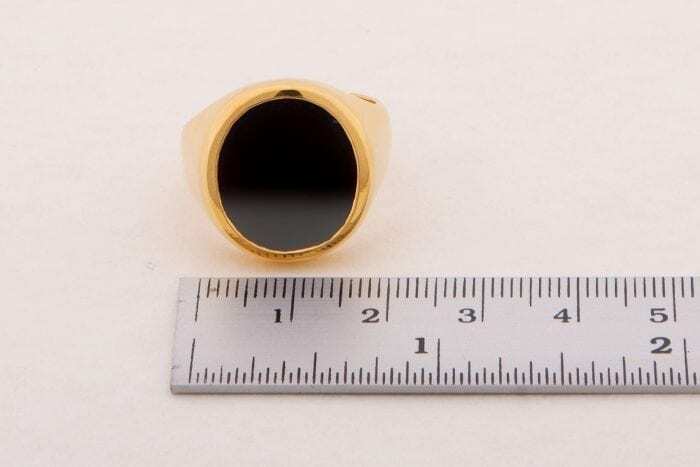 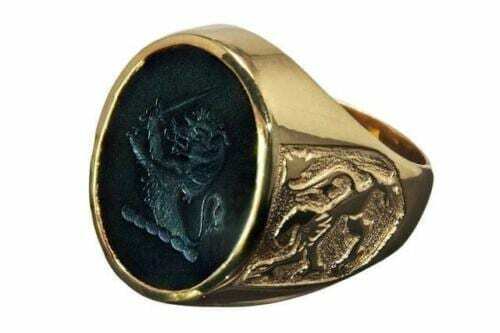 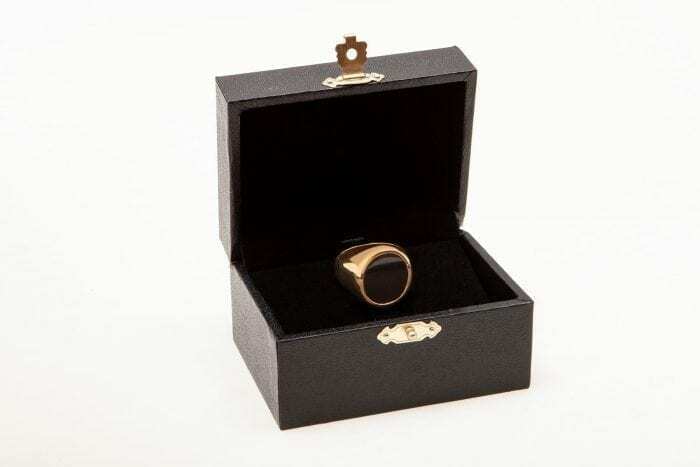 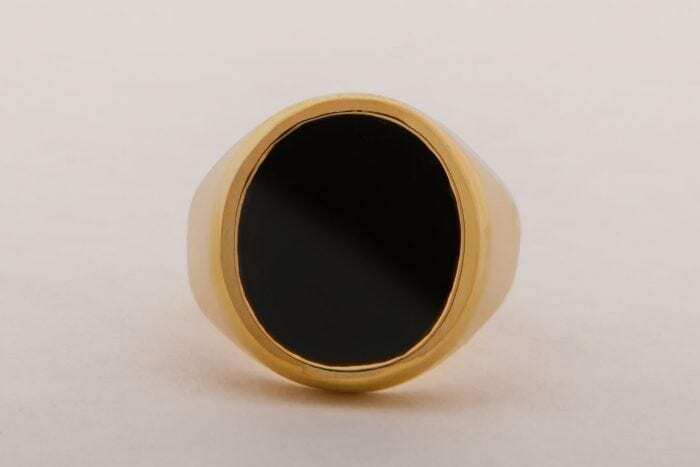 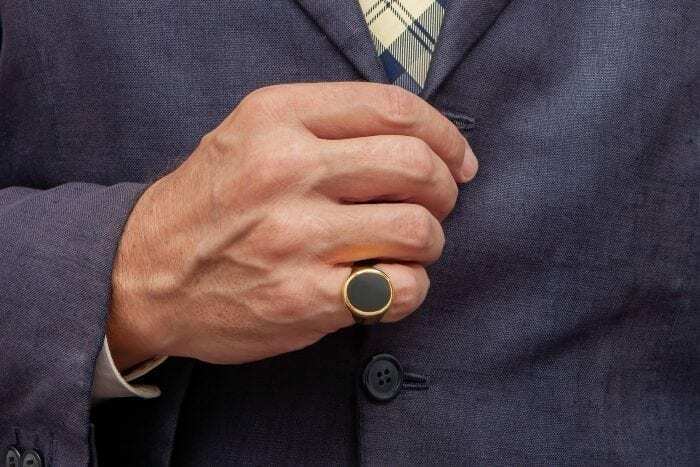 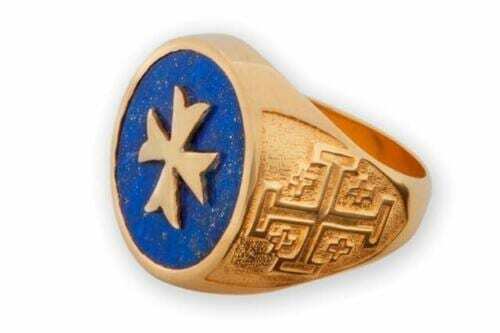 Medium sized ring –No engraving. 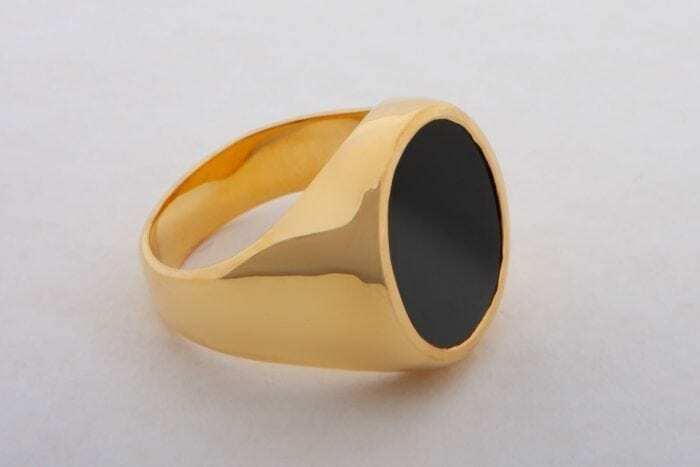 Stone genuine black onyx high quality, hand carved medium oval size with smooth ring shoulders.